Raising and providing for children is one of the most important jobs anyone can undertake. Most Nevada parents would agree that their job as parents does not necessarily end upon death. Through the use of estate planning, they can continue to take care of their children even after their demise. Wills and trusts can be set up to ensure the children are provided for through adulthood. Any Nevada resident who has children needs a will. An individual can appoint a guardian for any minor children in the will. Someone can also be appointed to manage the children’s money until they reach the age of majority. Without it, family members will have to petition the court to be appointed the guardian of the children, and it might not end up being the person the children’s parents would have chosen. A will might be sufficient to control the children’s inheritances for some Nevada residents, but others might decide that the interests of their children will best be served with a trust. Not many people between the ages of 18 and 21 are capable of handling a sudden influx of money and/or assets. Trusts are a good way to control how distributions are made. Parents can specify when a distribution is made and how much it will be. 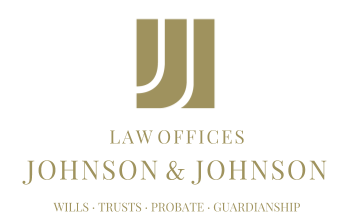 Furthermore, the assets contained in the trust will be immediately available to support the children since they do not have to go through probate. It does not matter whether a parent has a significant amount of assets. Estate planning is still crucial in order to ensure that the children will be cared for in accordance with the parents’ wishes. An estate plan could also put the minds of everyone at ease since arrangements are already made.